Ortho-K Overnight Vision Correction In Middle Village & Mineola, NY has been shown to slow the progression of children’s nearsightedness. While nearsightedness varies from a little blurry to nearly blind, myopia is an eye condition that many people live with on a daily basis. Although some procedures are available to help adults correct their myopia, children face a lot more challenges with myopia progression with very few options to stop the decline in visual acuity. Myopia has been linked to thinning of the retina. This increases the risk of retinal detachments, which can lead to permanent vision loss or blindness. High myopia significantly increases the risk of cataracts and glaucoma. Glaucoma is one of the leading causes of irreversible blindness in the adult population worldwide. Adults who have moderate (around -4 diopters) or high myopia have almost 3 times higher risk of glaucoma. without having to worry about eyewear! no more contact lens care and no surgery. What Are The Benefits Of Orthokeratology ? What Are The Risks In Orthokeratology? Fortunately, Orthokeratology or Corneal Refractive Therapy is the leading solution for myopia control. The benefits of this program are numerous. Not to mention that orthokeratology has a high rate of success in children and adults, but the scientific research supports the effectiveness behind orthokeratology. Children who struggle with reading may feel handicapped or lose confidence when an optometrist fits them with thick eyeglasses. Orthokeratology removes the need for eyeglasses or contact lenses, which boosts confidence and provides the best vision possible. Never face a wrong prescription in glasses ever again! While parents may hesitate to start their children with contact lenses in general, as the maintenance can be too difficult, orthokeratology or corneal refractive therapy utilizes advanced molds to reshape the cornea overnight. The chances of losing a contact lens are slim compared to standard contact lenses. Plus, the parent can help supervise their children as they start orthokeratology. Risks are minimal. Like with any contact lens device, proper maintenance is key to avoid chances of infection. This is true for adults as well. Since orthokeratology is worn before bedtime, a parent can easily assist their child in caring for their ortho-k lenses to ensure optimal results. How safe is Orthokeratology or Corneal Refractive Therapy? Orthok received FDA approved with two brands: Paragon Vision & Bausch and Lomb. Not only has the FDA approved their use with children, but orthokeratology has been around for nearly 20 years. Also, vision correct from orthokeratology is temporary. Even if a child decided to stop Corneal Refractive Therapy, their cornea will remain healthy and restore to its natural shape. While after a few days, a child’s vision will need to be corrected with standard contact lenses or eyeglasses, the myopia progression will have been slowed down throughout the process. Ortho-K is safe for children and adults. To see if Orthokeratology is right for you, you will need to schedule an Ortho-K evaluation with your Mineola & Middle Village optometrist. Practices may rely on Paragon Vision’s “Corneal Refractive Therapy” to help correct nearsightedness in children with myopia under -6 diopters and mild astigmatism. In more advanced cases of myopia or high astigmatism, consult with a contact lens specialist about the alternative options to start myopia control. While high myopia might be seen as “too late” for some children, orthokeratology can still provide amazing benefits for correcting your child’s vision. Schedule a consultation with our contact lens specialist to evaluate the health of your child’s eyes. Children who participate in CRT nearly always achieve 20/20 or better. That means they can read the small print on the blackboard. The ideal goal of orthokeratology is to provide perfect vision without any need for eyeglasses or contacts during the day. While orthokeratology works to reshape the cornea, results are noticeable almost immediately. However, to achieve the best vision, this requires a few weeks for the reshaping process to settle in. The cornea will adjust to the new environment, and the effects of orthokeratology can last the whole day and in some cases, even close to 2 days. Some side effects may occur as they start orthokeratology, and a temporary pair of eyeglasses may be needed. This is more common in adults as children’s eyes adapt quicker in general. Eyes are important indicators of overall health, and comprehensive eye care goes beyond a prescription for glasses or contact lenses. At 20/20 Eye Care in Mineola & Middle Village,NY. 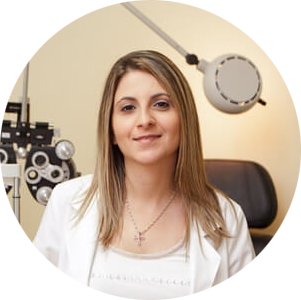 we take the time to get to know you, your eye care history, and all of your vision needs. Our optometrists provide the expert care, advice, options, and the follow up you need whether you are a new patient or an existing one. Contact us, today!